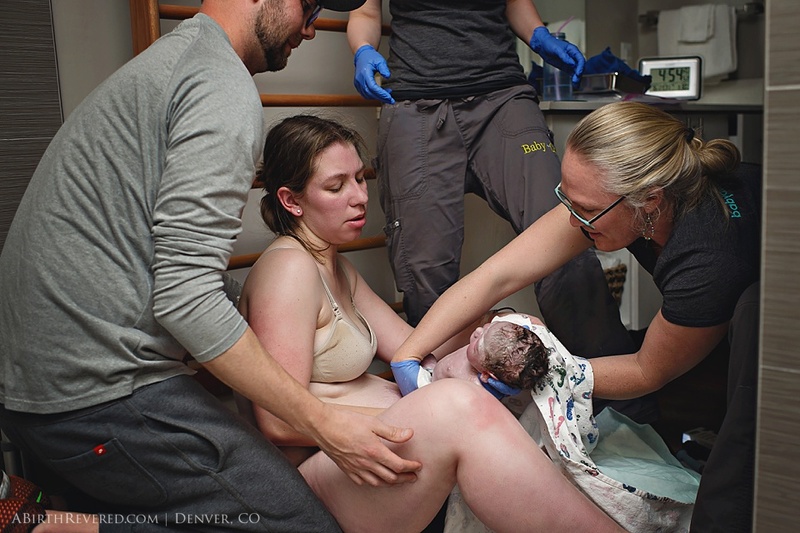 My friend and client has generously offered to share her birth story with us all, and reading it has left me so grateful for her voice, as she shares details from her first birth, in the hospital, and her second babe, and Baby & Company in Wheat Ridge, CO. We have no preference regarding our clients' birthing choices... we will follow their story wherever it takes us. The thing that matters most to us, above anything else, is that they have a positive birth experience! I will say, however, each time I've worked at Baby & Company, I've felt so utterly confident that my client's wishes would be respected, and that the process of labor would be honored and given the time and patience it naturally requires. 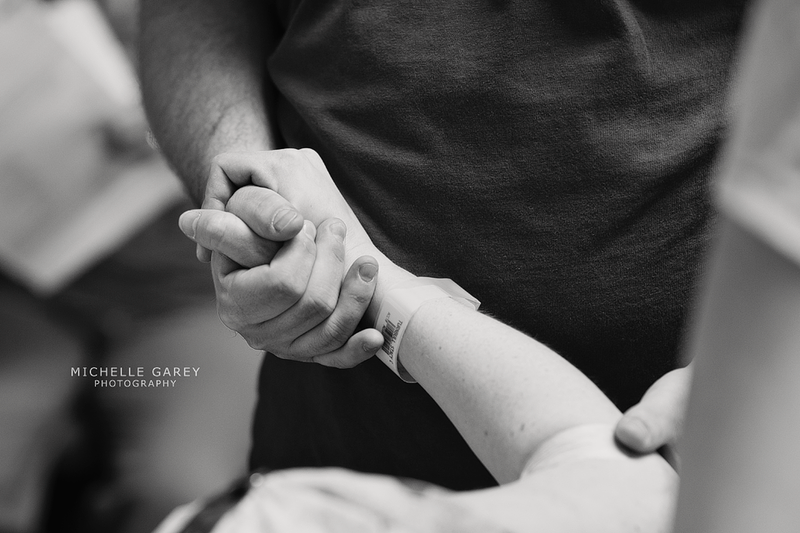 The midwives don't just show up when it's time for baby to arrive... they sit with families as guides and supports through the entire process. Please enjoy her story, with photos to follow. Contractions started around 9:30 Sunday morning but were inconsistent all day. Sometimes 8-9 minutes apart and fairly intense, other times 3-4 minutes apart and not bad at all. We were visiting friends in Brighton and had gone to their church that morning; we left church early because we didn't know how long we'd have before we had to get to the birth center, ha! One of the ladies on the church welcome team had observed that I looked "close"--when she asked when I was due, I said next week, and she said she thought baby might come sooner. I laughed and said "I think so too" but didn't want to freak her out by telling her I was actually having contractions and was expecting another in the next couple minutes. I spent the afternoon at home, taking care of a few more things on my pre-baby to-do list between contractions. I tried to hide my contractions from A but sometimes they were just too strong and she would ask "okay Mama?" I always told her yes but I'm sure after awhile she would have stopped believing me. After a busy evening making arrangements for people to care for A for the next 24 hours, and then some time in the tub at home to see if the water would affect my contractions at all, we finally left for the birth center at midnight. I was a 5 when we got there, so I was glad to have made progress during the day but wondered how much longer labor would last, since it had already been 15 hours. My labor with A was 22 hours, so I comforted myself with the thought that it had to be less than that this time around. The midwife tied a rebozo around my belly to help pressure Madison in and downward, since my short torso meant she had nowhere to go but out, ever since halfway through pregnancy. It was fairly calm from 12:30-3am, contractions were painful and I had to sway or bounce to get through them, but in between I still had a few minutes to talk or watch a movie. (I re-watched the movie when Madison was a week old and was surprised at just how much of it I had missed during contractions! Should have watched a movie I had seen before, haha). 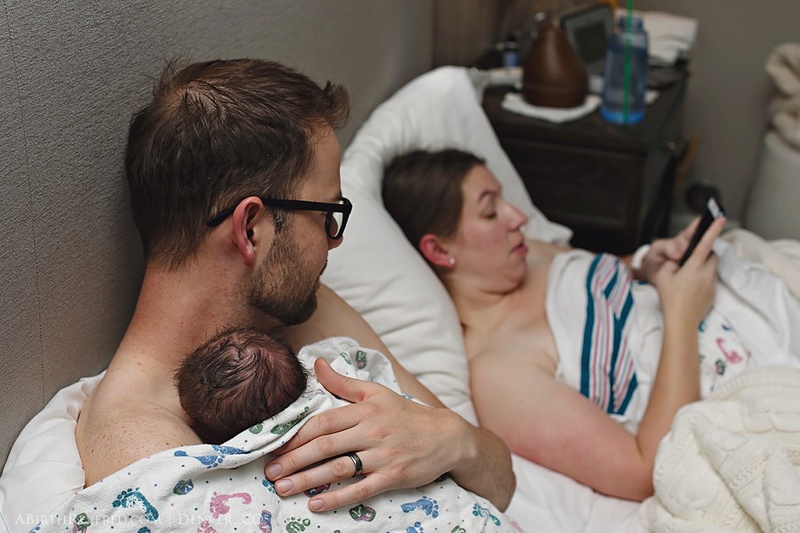 Around 3am the contractions became more intense and closer together, and I experimented with different places in the room to see what helped them to be most bearable. The ladder was helpful, and I also spent some time on the couch hunched over some cushions, just trying to rest between contractions as I hadn't gotten much sleep the night before--I was up late Saturday night looking at photos of A as a newborn, remembering what it was like to have a new baby, and then had gotten up early with her on Sunday morning. I was so tired that I actually did fall asleep for a minute here and there between the contractions, but after maybe 15-20 minutes on the couch I got up and was determined to have a baby soon! I was worried my exhaustion would slow things down again, so I talked myself into feeling awake and alert--I think it worked! By 4am the contractions were so strong I felt I couldn't get through them alone anymore, and I asked if I could get in the tub. 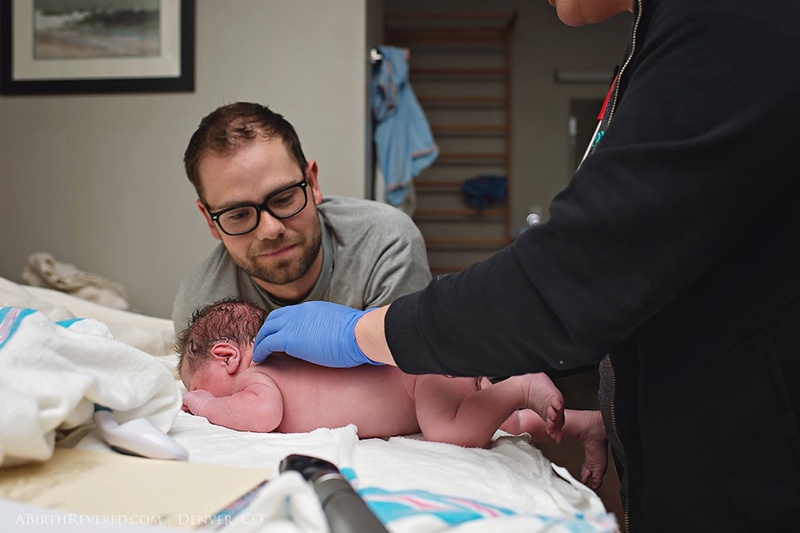 I wanted a water birth, and even though I didn't think birth was imminent, I was desperate for the relief I hoped the tub would bring. The only downside at the birth center is that the tubs are huge and the faucets not so much--so it was another 20 minutes before the tub was full enough for me to get in. Once I got in the tub, I quickly realized it was the wrong choice. 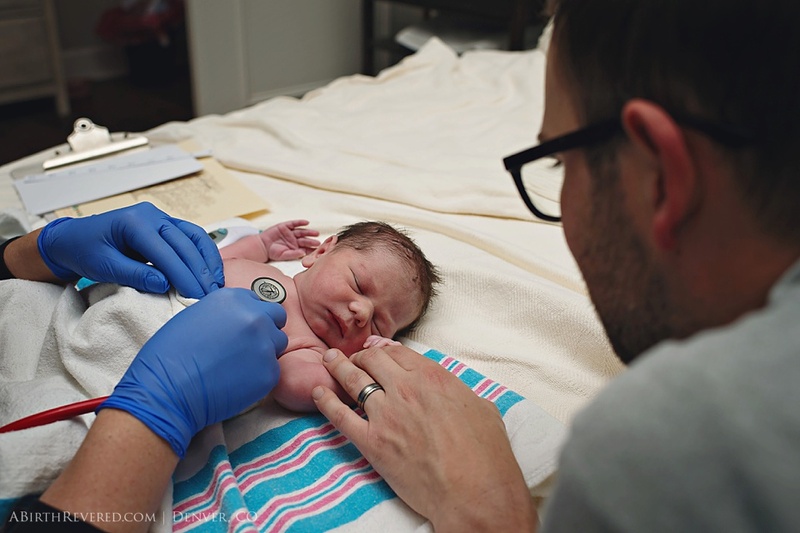 At home, I had found relief and distraction by using my hands to make waves in the water when the contractions hit, but at this point the contractions were far too strong for that sensation to be any help. I had a few contractions in the tub, standing during the actual contraction and resting in the water between, and suddenly my water broke! I got worried (an understatement) at that point because with A, the nurses broke my water in an attempt to move things along, and the pain intensified so much that soon after that I broke down and begged for the epidural because I could no longer continue drug-free and my body seemed to agree as I wasn't progressing. 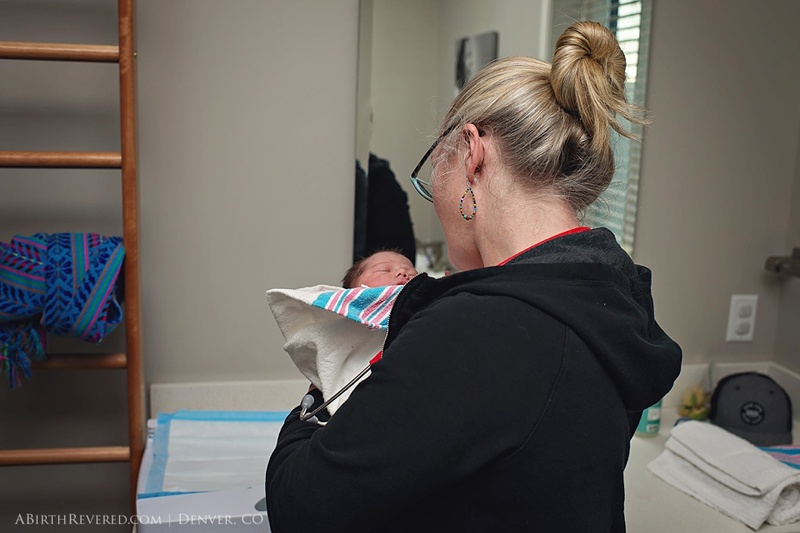 At the birth center, there are no epidurals--which I knew--but there was a brief moment where I wondered if a hospital transfer was still possible at that point just so I could have relief. I knew it wasn't, but I was scared of how much worse the pain might get because I felt like it was already the most that I could handle. 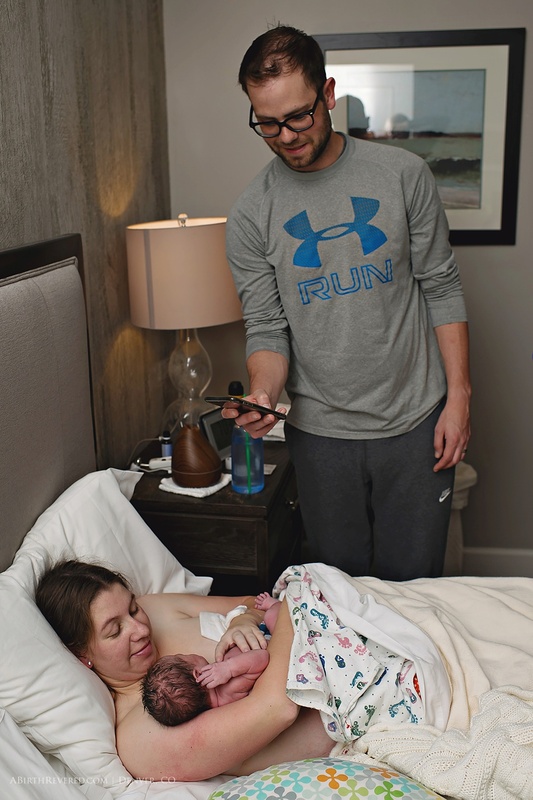 I got out of the tub and struggled to stand still during a contraction while the midwife checked Madison's heartrate to make sure she was still okay. 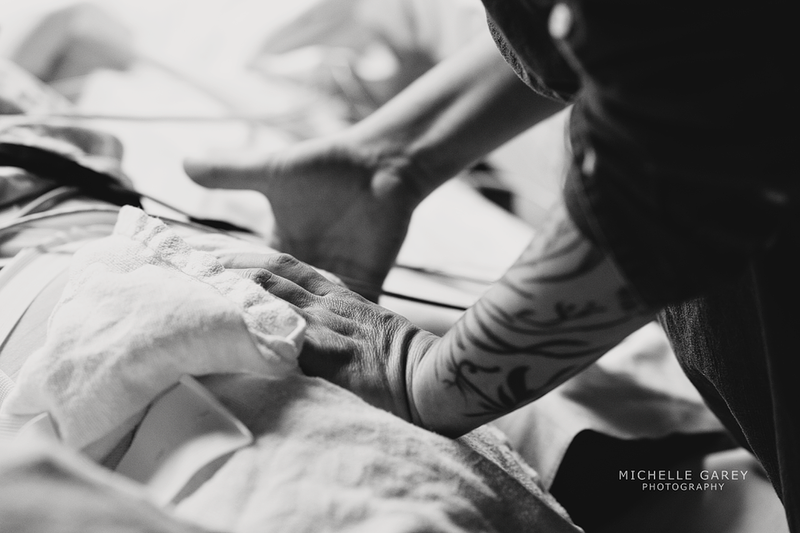 I asked if it was time to push yet, and the midwife turned the question back on me--I didn't answer because I didn't feel the urge to push; I had only asked because I wanted someone to tell me it was time so that this could all be over soon. But the midwife knew better than to dictate the birth process to me, that I needed to let my body decide. 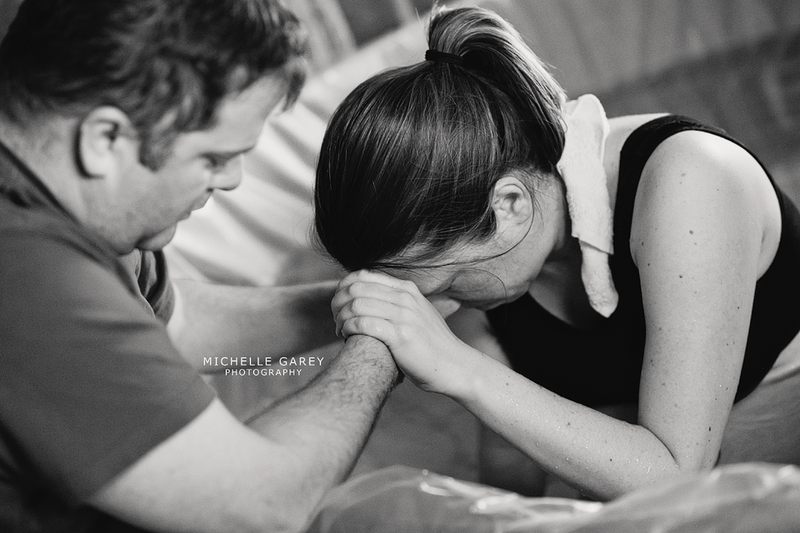 A few contractions later, I was ready to crawl out of my skin from the pain and decided to push and see how it felt. I didn't feel anything change, but I tried it again a couple contractions after that and then I felt Madison move, and I knew it was time to get her out! I was determined to get this baby out as quickly as possible so the pain could be over, and after 15 minutes of pushing, Madison was born at 4:53am on Monday. I was exhausted from 19 1/2 hours of labor and had to rest for a minute before I could even gather the strength to hold her, but thankfully I had M to lean on and the remainder of my belly to support her. 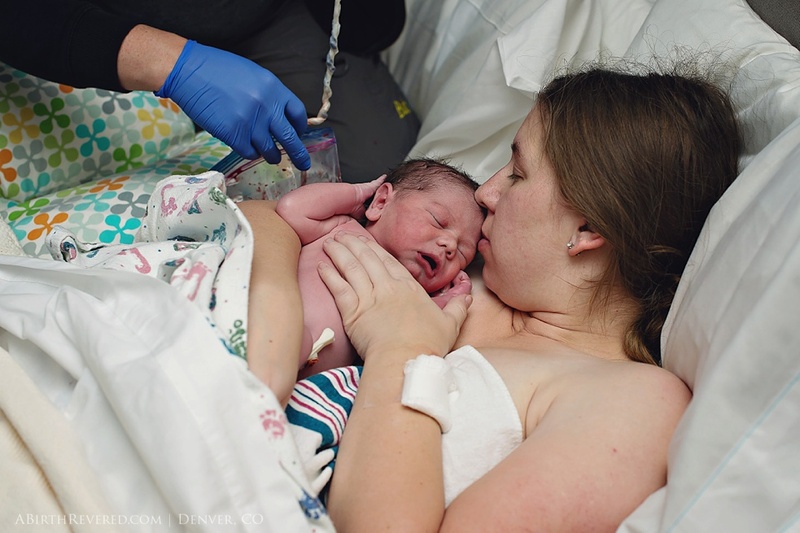 I'm so glad I chose to go epidural-free; I had wanted that for A's birth but there were multiple reasons it didn't happen--and having had the epidural for her made me all the more determined to avoid it (and all its accompanying complications) with Madison. I was able to move around and push how I needed to, and my body suffered far less in the long run even though the pain was obviously much more intense for awhile. I was up walking around (not quickly, but hey I was walking) a couple hours later, and the only pain reliever I needed was ibuprofen. I was on oxycodone for the first 48 hours after A was born, and couldn't walk more than a few steps independently for days. I know a lot of the differences were due to first birth vs second birth, but I think letting my body do what God made it to do without intervention made a difference as well. I know so many moms swear by the epidural, and if that's what works for you, by all means enjoy it! :) It just wasn't for me. Another birth center difference....A's newborn exam was done several feet away from me, and M was there with her but I wasn't able to watch, as it was done while the nurses were still taking care of me. 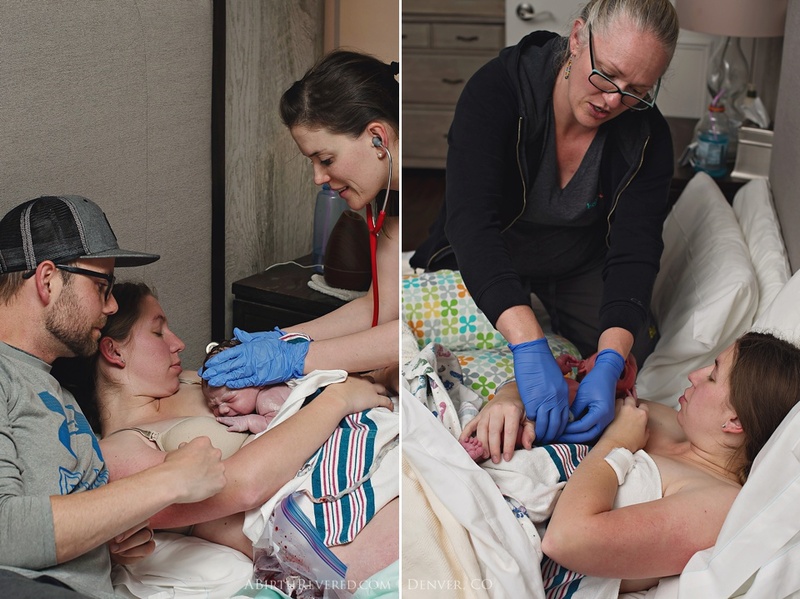 At the birth center, the midwives gave us "the golden hour" after her birth to just rest and bond as a family, and then came in to take care of everything else, one thing at a time. My view wasn't as good as M's, but I appreciated being able to watch the exam this time!
. :: Maeve's name had been picked out for years and years. This little girl had been so longed for and so loved, but mom and dad were told they could not conceive. They adopted their first child. They turned 40. And that turned out to be the perfect recipe for fertility. Maeve, the little miracle that she is, is over a month old now. Momma labored in Denver's only birth center, Mountain Midwifery Center, surrounded by so much diligent support. 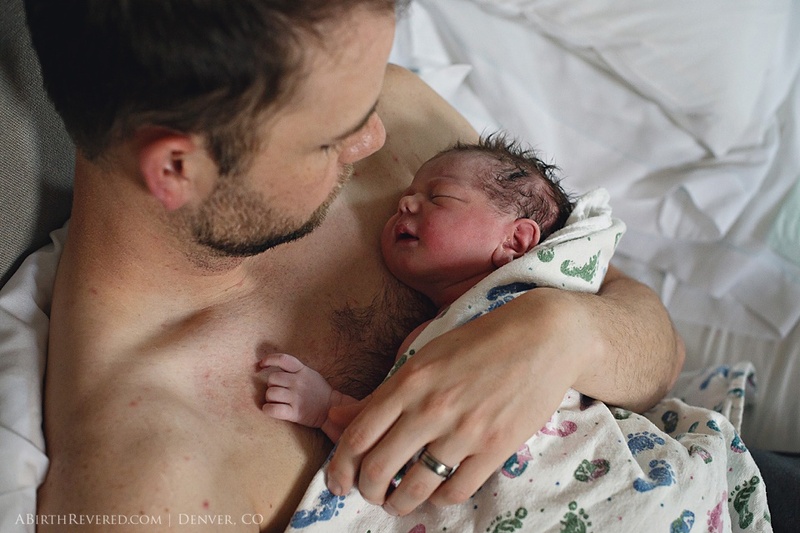 For a moment, I thought we had a male doula in Denver. 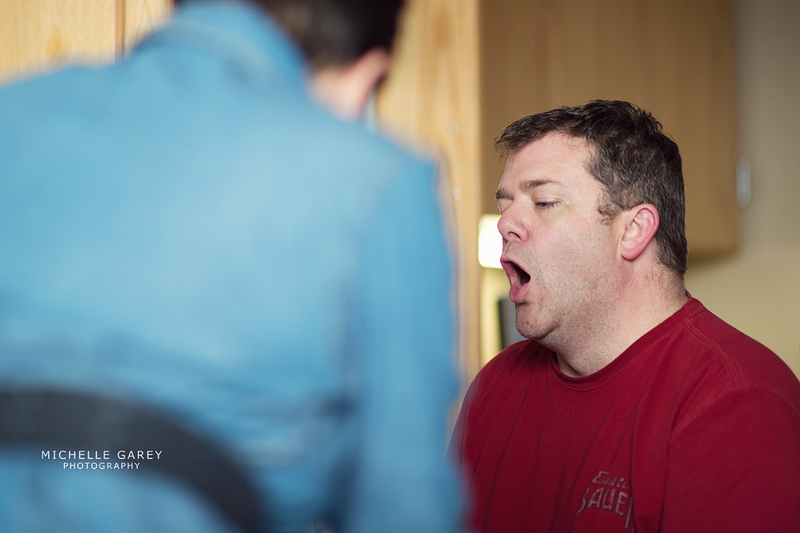 And then I realized that it was Dad... an incredible and tireless labor support (he also happens to be a chiropractor, so, SCORE!) 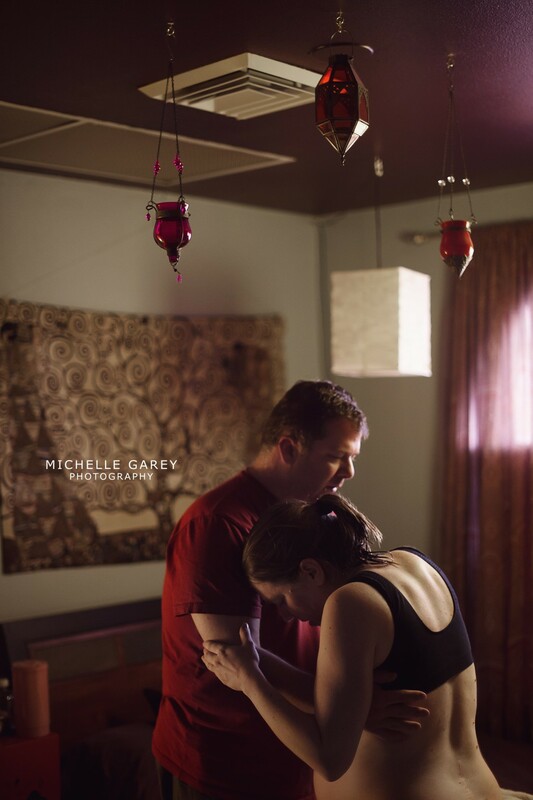 There's so much to be said, too, about the midwives and staff at Mountain Midwifery. When complications were detected, they reacted quickly and efficiently. Mom transferred to the hospital with not one, but two midwives, who stayed for hours supporting mom and aiding the hospital staff. ::. .